Make sure you are using replacement screens to maximize topsoil production. Our screens are engineered with the topsoil application in mind, so the replacement screen you receive from us has been perfectly manufactured to your specifications. We know your topsoil business relies on accurate screening of materials in order to provide the best balance of hummus, minerals and organic materials for plants and trees. We carry many different types of screens designed to fit the most popular topsoil screening machine brands, so chances are, we already have your screen in stock. But if we don’t, our engineers with provide a custom solution with minimal downtime, so you’ll be back to screening topsoil in no time. 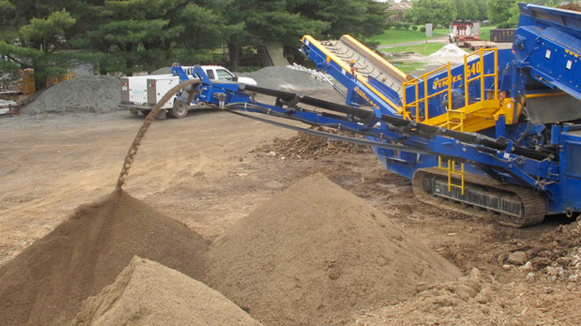 Samscreen offers a wide variety of replacement screens built with the topsoil industry in mind.